Comments: Evergreen broadleaf native to Australia. 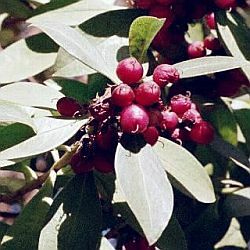 A large bush or small tree with dark green oval leaves and mauve colored grape sized fruit. Specimen tree is 10' with a rounded crown. 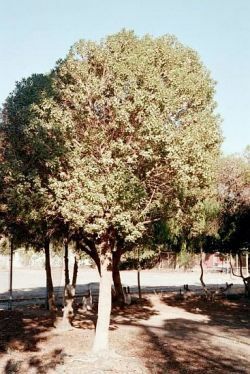 There are two other trees of this type in the same area. Fruit tastes somewhat like rosewater and the flavor is not strong.